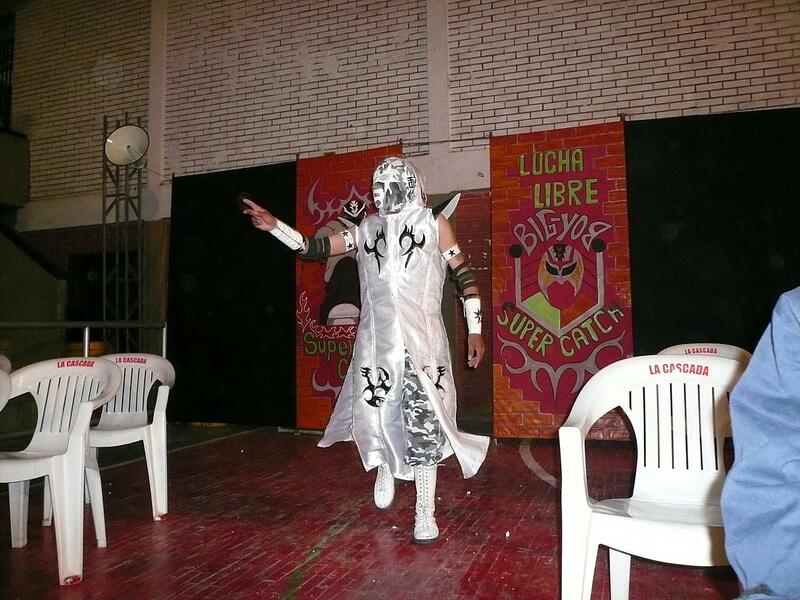 Is Not Chicago | ¡Lucha Libre! And now we come to what has definitely been a highlight of the trip. 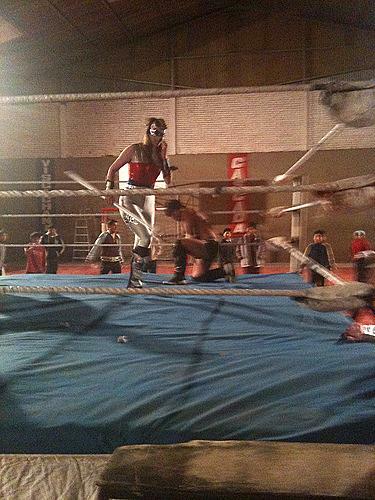 While many visitors to La Paz go to the touristy cholita wrestling, I had the opportunity to attend a truly local luche libre “match” (“show” might be more correct, however). My good friend Nell has been living in La Paz for the past few months writing her doctoral thesis. 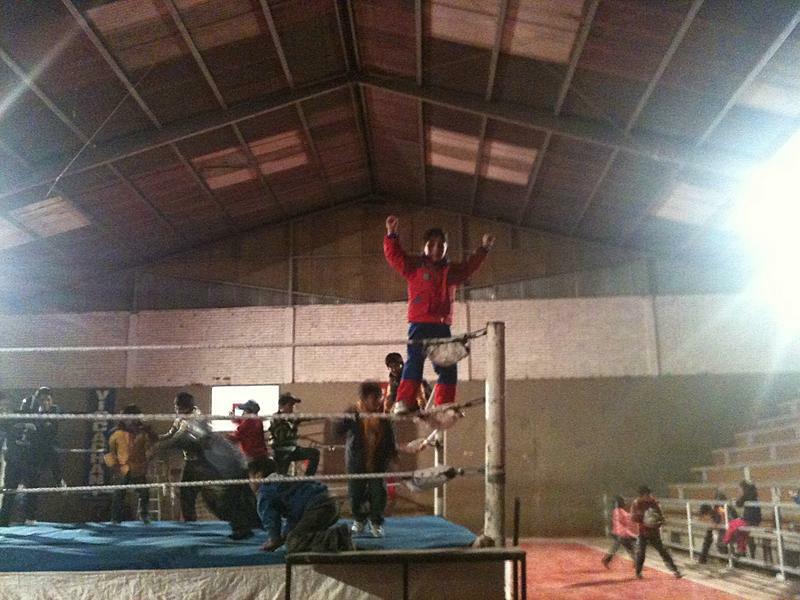 One of the components of the thesis involves Lucha Libre (best simply explained to my friends back home as Mexican wrestling in Bolivia). Over the course of her research she has been adopted into the community and now goes by the moniker “Lady Blade”. And I happened to be in town for her second–for lack of a better word–performance. We arrived several hours so she could practice and warm up. The arena was a community center gym. 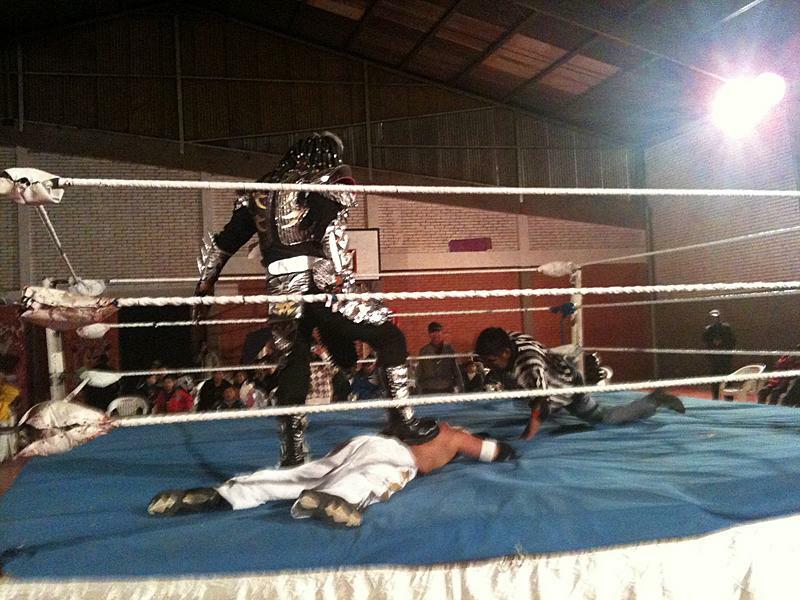 I’m not sure I enjoyed watching the luchadors assemble the ring. Seeing the makeshift pieces fit together did not inspire confidence in the structural integrity. 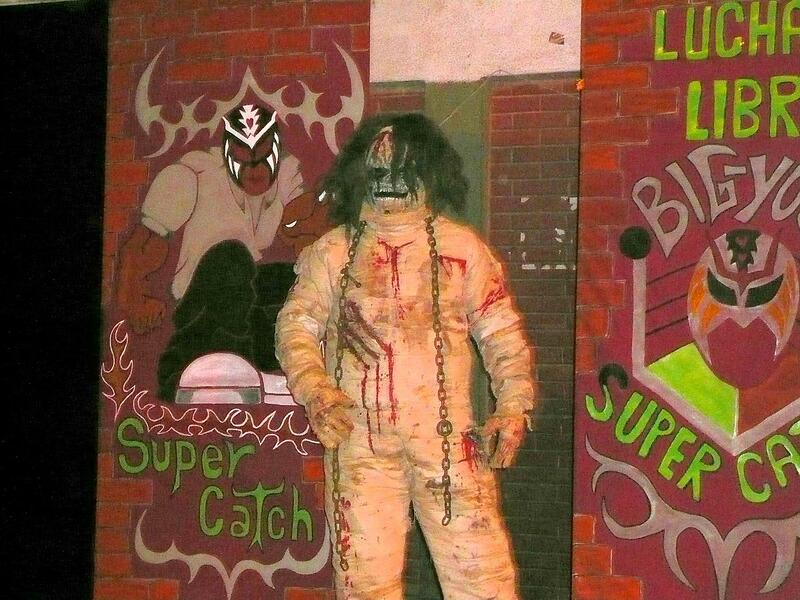 Shortly thereafter, I was evicted from the main room so as not to get a sneak peak of what would later transpire. In the meantime, an elderly Bolivian cleaning lady struck up a conversation with me. It began like so many other conversations I’ve had with older people in Bolivia and Peru. In South America a single 30-something is an abomination and a thing of mystery. The conversation then turned a little political as she asked me if we have a woman president in Los Estados Unidos. I told her, no, but he’s black. “Noooo”, she said, affronted by the prospect of a black man in power. Racism clearly exists in Bolivia. Finally, it was time for the match. A large crowd arrived, about 250 people. And out of that total, only one gringo: yo. Then began the insanity. Flips, piledrivers, and chair throwing. 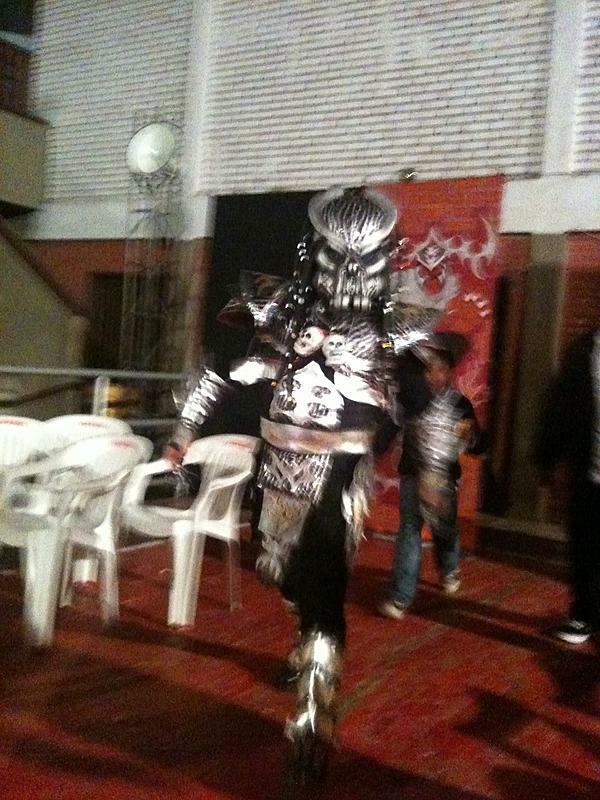 Then Predator arrived. A mummy showed up (wins the prize for staying in character best: no emotion, no reaction to pain). 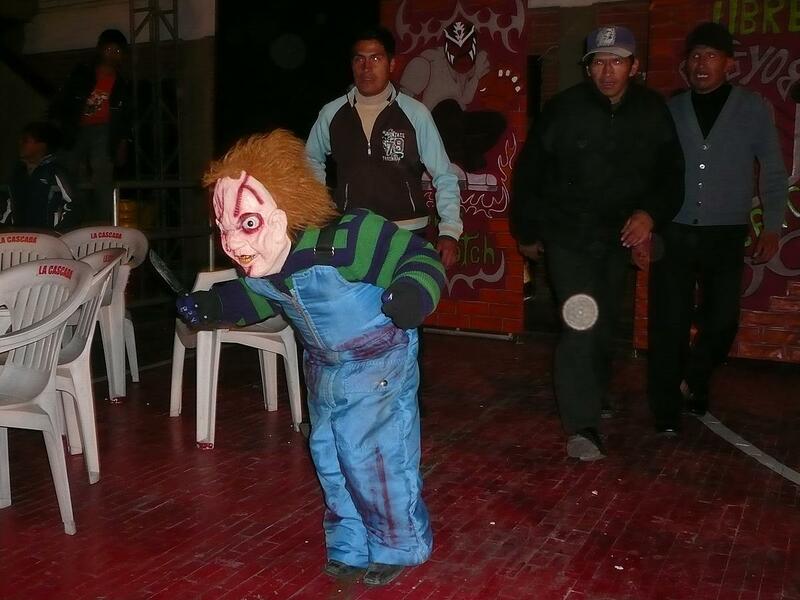 Even Chucky stopped by (played by a son of one of the luchadores). 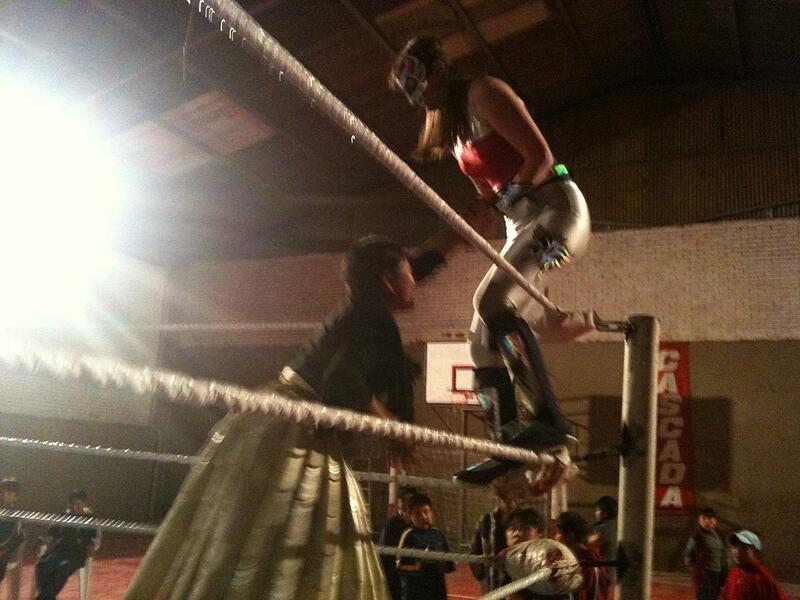 At intermission, children took over the ring. And in the final bout, Lady Blade arrived. And an epic 7 minutes it was, ending with smashing florescent lights and victory for Lady Blade and her partner.